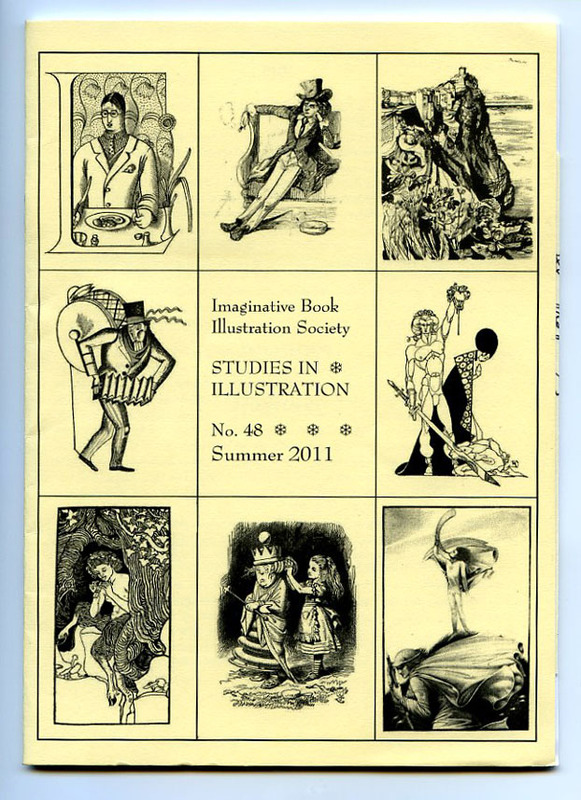 This week we received a copy of the summer edition of the magazine produced for The Imaginative Book Illustration Society (IBIS) which contains the review below of our recently published bibliography. We have known Geoffrey Beare for many years as a passionate authority on the work of William Heath Robinson – indeed he curated the major exhibition at the Dulwich Picture Gallery in 2003. 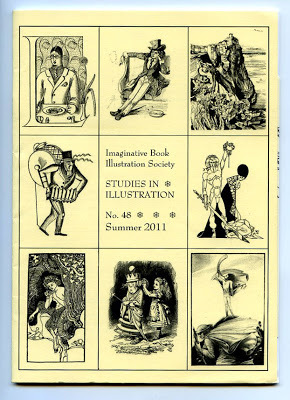 He lectures in the Rare Books School in the University of London and is the Chairman of IBIS (www.bookillustration.org). Hence we read his review with considerable delight and feel that followers of our blog might enjoy it too. We reprint it here with the generous permission of its author. The Old Stile Press … the next ten years, a Bibliography 2000-2010 by Nancy Campbell, Frances McDowall and Nicolas McDowall. Llandogo, Monmouthshire: The Old Stile Press, 2011. Laminated soft covers, 136pp. 288 x 204mm. 195 coloured illustrations. Limited to 1000 copies. ISBN 978-0-907664-85-7. £45 (plus £4 p&p in UK). There are also 15 Special copies, with pages or spreads from almost all the books together with many other items, at £850. One can have nothing but admiration for that small band of individuals who dedicate their lives to the production by traditional means of fine books in small editions. When such makers of books sustain their endeavour over decades, showing unfailing judgement in their choice of texts and work with some of the most imaginative illustrators, then it is doubly a cause for celebration. Nicolas McDowall started the Old Stile Press in 1979 and has been producing fine books ever since, 78 titles so far and still going strong. He is unusual in the private press world in finding his inspiration not in a need to produce particular texts, nor in a love of setting and printing from moveable type, but in a love of illustrations and their relationship to text. The first 20 years of the press were celebrated in The Old Stile Press . . . in the twentieth century a bibliography 1979 -1999 published in 2000. The present volume carries the story up to the present. The book has an introductory essay by Nancy Campbell, which is full of insight, and a short essay by Frances McDowall on ‘New Skills Promoting Old Crafts’. The bulk of the book is taken up with illustrations and descriptions of the books that the press has produced since 2000. Four pages are devoted to each title and the glorious images are complemented by an account of how each book came into being. These stories are fascinating. Publication of The Last Poems of Alice Meynell came about when Nicolas received through the post a catalogue from an antiquarian book dealer who had not sent him catalogues before. He was excited to see a copy of the first edition of Meynell’s book which contained 35 drawings by the late Robin Tanner done in black ink directly on the paper of the book. The Old Stile Press edition was published with these drawings in 2004 to mark Robin Tanner’s centenary. Another happy chance was the discovery, when visiting their friend, the artist Bert Isaac, of a portfolio of coloured drawings that he had made in the 1940s and 1950s to illustrate or decorate a range of titles, not as commissions, but just for his own pleasure. These drawings are in a range of styles that reveal influences including Edward Bawden, John Minton and English surrealism, but are always exuberantly original. They include a cover design for an imaginary eighth title in the ‘New Excursions into English Poetry’ series, Poems of Nature. During the past decade the press has published two texts of major significance, Benjamin Britten’s libretto for A Christmas Sequence and George Mackay Brown’s play The Girl from the Sea. Neither work had been previously staged or published. Established illustrators who worked with the press over the last ten years include regular collaborators Natalie d’Arbeloff, Angela Lemaire, Clive Hicks-Jenkins and the late J. Martin Pitts. Peter Reddick illustrated two books with the press, one with his wood engravings and the other with gentle line drawings, a new departure for him. The half-title of The Abstract Garden published in 2006 reads The Word, / The Image / and the space between and this sums up the ethos of The Old Stile Press. 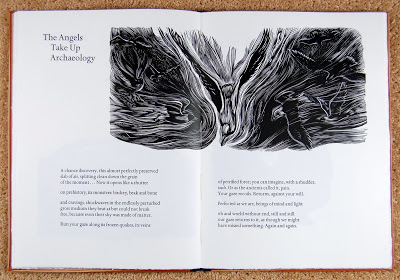 The book was a collaboration between the poet Philip Gross, the illustrator Peter Reddick and the printer Nicolas McDowall. Sometimes the poem came first with the wood engraving following and sometimes it was the image that provided the inspiration for the poem. In either case, it was the printer who provided ‘the white space that would separate and hold together the poems and images’. The volume ends with a note by Nicolas McDowall on the future of the press. An exciting development is the acquisition of the Press’s archives by the Lilly Library at the University of Indiana, with an option to take future material. About 20 more books are at various stages of preparation, only one of which is specified, a sequel to Leading the Cranes Home, a selection of Chinese poems with illustrations by Ralph Kiggell. However, one further title has recently been announced, a new edition of Procreant Hymn by E Powys Mathers with copper engravings by Eric Gill. This was originally published by the Golden Cockerel Press in 1926 with five plates by Gill. A loosely inserted notice stated that three alternative designs could be obtained from the artist. There were in fact four alternative plates, showing the figures ‘in a state of realism that would have been unexpected … at that time’. The new edition comprises two volumes, the first replicating the original edition and the second substituting the alternative plates. The illustrations have been printed from the original copper plates and the two volumes are presented in a lined slipcase. Excellent review of an excellent book on the inimitable and indefatigable Old Stile Press. Everyone who doesn't yet have a copy of this beautifully produced and illustrated compendium (and its predecessors) should order it/them immediately.